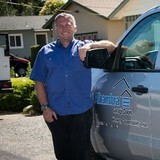 We are a family owned business that prides itself on customer service. We specialize in Remodels and New Construction for both residential and commercial properties in the area of Monterey, Santa Cruz, and San Benito Counties. Our expertise is in custom overhead garage doors for residential and commercial properties. 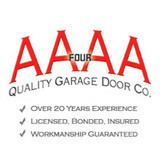 At All American Overhead & Garage Doors, we have a wide selection of doors and styles to suite your needs. Browse through our gallery to sample our selection. We offer a range of quality doors from Northwest, Amarr, Ranch House, and Carriage House Doors, among others. We can help you find the right garage door guaranteed for durability, function, and style. You probably would also like to do all of this quickly and without any sales pressure. If that's true you're in the right place. All American Overhead & Garage Doors will work with you to find the right style door with a free price quote. As one of the largest door companies in the Bay Area, we are able to offer a wide variety of products in our conveniently located showroom. This gives our customers the opportunity to work with our friendly, knowledgeable staff to compare various models and features so they are educated as to the differences in quality, styles, options and performance before making a decision. We continually train our staff and installers to ensure that we are up to date with all the latest innovations and safety standards. After all, our goal is your complete satisfaction before, during and after your installation. We look forward to you joining our long list of satisfied customers. Will's Garage Doors has been a leading garage door supplier in Santa Clara, CA for three generations. During this time, we have focused on making the customer a top priority. Our garage door company has been providing professional services for many years. We are proud to deliver services to Santa Clara, Campbell, Los Gatos, Sunnyvale, Saratoga, and the surrounding California cities. Our top services include: Garage Door Repair, Garage Door Spring Repair, Garage Door Repair Near Me, Garage Door Opener Repair, Garage Door Installation, Garage Door Replacement, and more! What kind of services do Mountain View, CA garage door dealers and installers provide? 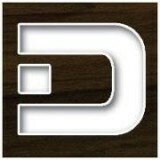 Find garage door sellers and installers in Mountain View, CA on Houzz. Narrow your search for Mountain View, CA garage door sellers and installers by selecting the nearest city or zip code. Look at portfolio and product photos, and read reviews to find the best Mountain View, CA garage door professional for your home.